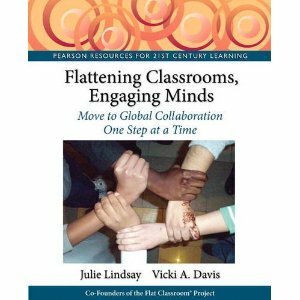 This is on my mind because today was Day 1 of the Flat Classroom collaborative project between Julie Lindsey's classroom in Dhaka, Bangladesh and my computer science classroom in Camilla, Georgia. Our classrooms connected after Julie responded to a blog posting that I created: My Student's Weigh in on Friedman's Flat world. 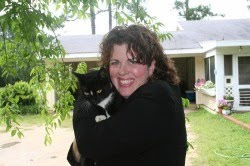 She and I began to discuss what flat, collaborative classrooms truly mean. After seeing some synergies and a common passion for global collaboration, we drafted a plan. We took each it to our local administrators and curriculum directors and received approval for what we are calling our flat classroom project. Our students will be paired with each other to create wikis and multimedia resources discussing the educational and industrial implications of the "flatteners" as outlined in Thomas Friedman's book, the World is Flat. The project will be wiki-centric and is designed to require research, information literacy skills, and high level critical thinking. I am blogging daily on the computer science blog for my class to post our progress, entertain questions, and update the students on any intermediate due dates. My students have already learned so much about Bangladesh on the first day! They have been discussing what they've learned. Other students are asking if they will get to do this next year! It is very energizing and exciting to see these students from different backgrounds connect. 1) Go to the topics page of our wiki. 2) Students may select a topic (each group has a number). You'll have to type it manually for it to turn out correctly, but I'll include the tags at the bottom of this post and you may copy and paste those. 4) After writing a blog post, tagging it, and publishing it, they need to "ping" technorati. Note: The blog must be publicly available for this to work! c) Right click in the box that says "Ping technorati" - and click Paste. d) Press the button to Ping. 5) Our students are going to add an RSS feed from Technorati for the posts tagged with their specific tags to their individual project pages. Your students will be able to go back to the wiki and within about an hour see their posts appear on the page. If your students wish to shoot any video or podcasts, they may link to them within their blog posts. Remember to specify the creative commons license holder so that we may cite you as a source in the final product if your interview or opinion is included. Please make them short -- less than 1 minute of video or audio if you wish to "weigh in" on either the educational or industry impact of any of the topics. Please also state your location - city and country. Remember, if you have questions, you may contact me. So, after we scraped ourselves off of our collective blog-ceilings, we went back to work. This is a great project. It is the right thing to do. It has been tough. We've had to invent things from the ground up. This is uncharted territory. Many would not embark out of fear. What will the students do? They age in range from 15-18 year olds. Are we crazy? But perhaps the most exciting thing about this project is that it was initiated by teachers. Two teachers who made a connection via their blogs, found common curricular objectives, created a framework, proposed the methodologies to administrators, and then after visionary administrative approval, move ahead with a project. This is an upside down topsy-turvy way of doing things that will send shivers down the spine of many an administrator. However, notice that Julie and I both had to secure administrative and curricular approval. We are under our authority and are not renegades. What we are is connectors. "Teachers are no longer just content deliverers but are connectors." This is the emerging role of teachers. Teachers as connectors. Teachers as those who relay and share ideas and best practices via their blogs as part of their professional expectations. 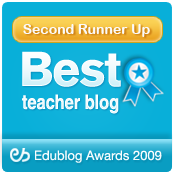 Teachers who read their aggregators and participate in projects with other teachers around the world. Since I am a businesswoman - I guess I'll call them teacherpreneurs for lack of a better term. I define these people as the teachers who see opportunity to make profitable learning experiences for students through their partnership with other classrooms with common curricular goals and expectations. It does not matter the size of your organization -- I believe that teacherpreneurs have been around for a long time. They are the people that movies are made about. They get "in trouble" with their renegade practices until people realize that they work. Then, they leave teaching and write books, and make movies. We need more of them! It is time for the mass production not of industrial robotic line workers but of teacherpreneurs. For I believe that if this attitude is promoted in the classroom under proper authority and best practices, that teachers can truly become connectors and breed a new generation of global collaborators and big picture thinkers like we've never seen before. Note: If your students need to copy some of the appropriate tags, they may copy these listed below and paste into their blog! I am Thankful for these Websites! Things to come from GAETC - Mind Blowers!